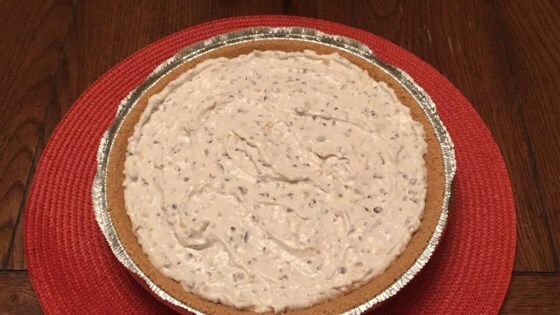 "I have been making this pie every Thanksgiving and it's usually the first pie to finish. This recipe makes two pies." My mother has beenn making this for years. It is great! I also add about a cup of mini-chocolate chips in mine. Excellent. This is very good and I would definitely make it again. Although, it simply has to be made with a HOMEMADE graham cracker crust. Store bought just does not even compare! I love this recipe. My aunt used to make it at Christmas and add chopped up marachino cherries and chopped pecans.